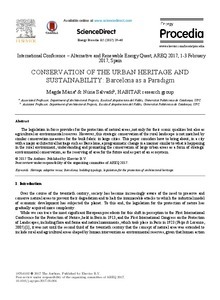 Salvado, N., Mària, M. Conservation of the urban heritage and sustainability: Barcelona as a paradigm. "Energy procedia", 29 Juny 2017, vol. 115, p. 29-40.